I am freely going to admit that even though I know "every girl deserves a Girl's Guide to Girl Scouting", I have yet to come up with a way to justify the purchase for my parent's when the girls in my troop don't use them. In 5 years, the only girl to every complete a badge outside of a meeting... my own. So, I don't do that. I do however, put together a binder with some important papers. That's what I spent part of last weekend doing. Daisy Binders. Once I have meeting dates for next year, I'll give them each a pre-punched sheet for our Meeting Schedule and additional events. Instead of parents spending $16.75, the binders cost roughly $2.50. I got the six pack of 1" binders with durable clear plastic cover at Sam's. In addition, I used one binder for Safety information and one for Meeting Plans. This means I don't have a HUGE, bulky, heavy binder to take with me everywhere like I do for the Cadettes... that may be changing soon, too. Our first Daisy meeting is next week and I'm excited, nervous, and ready to get started. I will give them their uniforms, binders, a bag, and a hair bow. The hair bows are super cute and I got the ribbon on ebay. This is not supporting our organization!! Girl Scouts depends on product sales and by promoting this, you are affecting our organization...and in the long run affecting the programs we can offer the girls. By allowing this, you are giving the girls the message that they do not have to abide by the standards set by GSUSA! Being a Girl Scout is an investment, not a cheap dollar store savings. I'm sorry you feel that way. 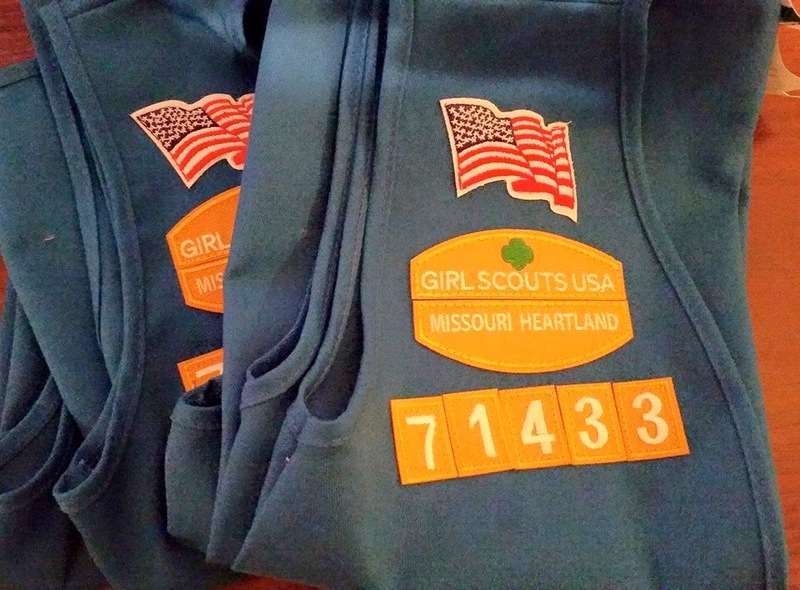 Our troop definitely supports Girl Scouts through purchases in many ways. I also try to keep it in perspective and help my families. Money should never be the reason a girl is not in scouts. As Girl Scouts, we are also to be teaching to use your resources wisely and financial literacy badges instill the value of being good stewards of their money. I don't purchase things for myself that I don't use and I won't recommend that to others. Girl Scouts DO support saving money for the troops/leaders/girls. I just updated 4 classes in the past 2 months. They don't just support it, but they encourage it and bring it up in everyone of my classes recently. I'm glad they do, as this isn't about the money, it's supposed to be about the girls. Thank you Lora for putting this out there for other leaders for ideas. I appreciate it. I disagree with you wholeheartedly. I agree that being a GS is an investment, but it is an investment in themselves. They are learning ways to be successful while also keeping in mind that there are alternatives. Lora has gone out of her way to make all her girls successful without being extravagant and wasteful. You can support the GS organization without forcing families (whom you don't know their financial situation) to buy books they won't use, or don't need. As a matter of fact, I think the Organization wouldn't be happy with your attitude of asking them to buy things JUST to support the organization. If there is a need for it, then of course... but to get people to spend money, JUST to spend money, IS NOT ETHICAL. Shame on you. The bows are adorable! How did you tie them? 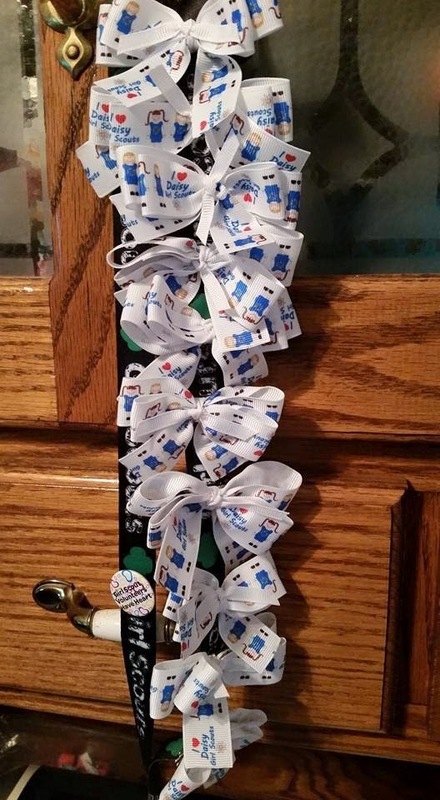 I tried to follow a Youtube video for a bow on our our remembrance wreath the other week and had such a difficult time! I'm glad to hear I'm not the only leader who can't justify the binders. I feel the same way about the Journey books as well. I tell my troop parents that both are nice to have, but completely unnecessary. I don't feel at all that I'm not supporting the organization because we crush product and cookie sales and we purchase a ton of badges throughout the year. We do our part in our own ways, and that's really what Girl Scouts is about, right? Let's be honest: the binders are a money-grab. If they weren't then they would include all of the badges for a level instead of making us buy more. As a leader, I put a ton of cash on the line and it irks me. What makes me incredibly sad is that I have some older generations of Girl Scout books and they're phenomenal. I still bust out my Brownie book from 1986 and use it for my girls because it's FULL of things they can use! It's not just a guide to earning a few badges. It's a useful guide full of Girl Scout info and just info for the girls lives! I would recommend my 1980s book to any kid, scout or not. It's that good. But for the binders, I just don't feel that way at all, sadly. I wish they would re-do the program. Anyway, I love that you do your own binders. That's so clever and personal! I'm torn now I'm a new Daisy Leader and I thought the books were necessary for them to complete things I don't have a lot of money in fact I have to get a second job. I don't want or know what the other parents in the troop can an cant afford I would hate to loose my new troop because I'm asking for them to purchase items that they will not use. I know that there a going to be a TON of badges I've been shopping for those. I just thought as a Daisy there so little that they would tear up or destroy the books and the parent would be out of 20 bucks. Does anyone have any suggestions? I know this is a late comment, but I too work two jobs and am a leader. I do not have my parents buy the binders. We share and do what we can with what we have. GS is about working together and building bonds. We just started our troop in January and everything is going fine. If it were not for a great on-line community and local support, I would not be able to do this! I love the idea of the Daisy binders, but some moms seem to think our Daisies will just use them as flying objects rather than fun and informational. I'd love to hear your experience using them beyond just the first time. 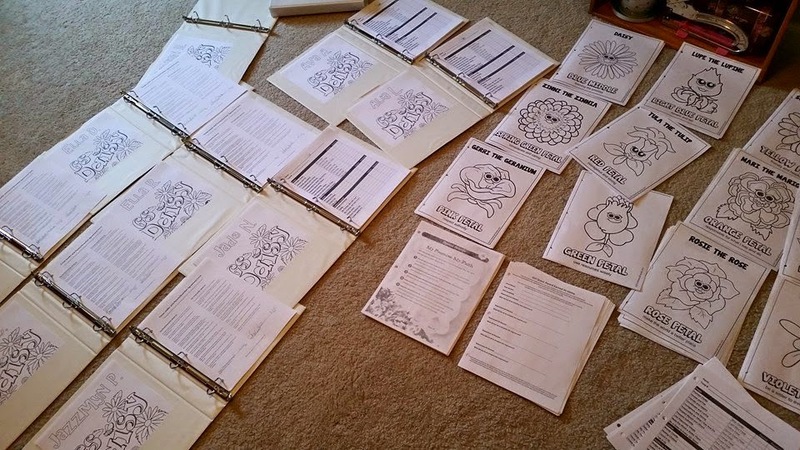 Is it worth the work & cost to give each girl a Daisy binder? Were the girls asked to bring them to each meeting? The girls did bring the binders to every meeting and we updated the chart a couple times to help them see what they were earning. Many of the girls colored the various coloring pages and it was a good way to start them off on being responsible for their own things. For what it cost, it was worth it. The last three links in the list. The At Home Awards sheet, the Parent Agreement and the Code of Conduct are all not working. Please try them again, as I did do a little updating over the past couple weeks... if not, email me. :) Lora@BCGPatches.com and I'll get them to you. I think the coloring pages link is maybe mixed up too? It's currently pointing to the same page as the "Promise and Law" which doesn't really look like a coloring page. Is it maybe supposed to be pointing at the "PetalColringSheet.docx" that's in your google drive? I would love to see a binder for the Brownies. I have a blended troop and the Brownies are going to be a little envious of the Daisy binders! That's a great idea! I'll try to get something put together. When my daughter was a Daisy, 27 years ago, we made the binder covers out of blue poster board and covered them with clear contact paper. Then punched holes around the edges and the girls laced yellow yarn around the edges. They really were cute and the girls enjoyed making them. The pages inside were blank. The girls did all the writing, drawing pictures and pasting things in their books.